WELCOME TO KIDLINK TEACHERS ROOM! This is the main teacher information page to learn more about Kidlink. Thank you for your patience and collaboration. Best wishes to you all from The Kidlink Association Board. The photo that appears now and then in the Header was taken years ago in Sweden during a sailing excursion with students at Lövgärdesskolan in Göteborg. It is a a project they have every August with the ninth grade students. During three days they learn to sail.The photo is a metaphor for the trip our Kidlink project students do together. Read Why Kidlink Projects and How Kidlink works. In the menu, click on Project center, Select a project, Go to the project page you have chosen to participate in and Follow the instructions to register for it. 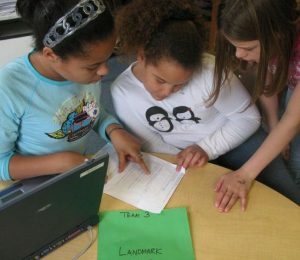 Enjoy in our history pages at https://www.kidlink.org/history/index.html to see how our first school collaborated with fax ICT, chat, etc. Kidlink Project Archive – Projects we have run from the very start in 1990.
when Zuckerberg was six years old, and long before Altavista became our main search engine. Look in our huge project archive and you may find interesting project ideas you maybe would like to run. Do you have a new project to suggest? Do you would like to coordinate it or would you like to reincarnate an old archived project in http://www.kidlink.org/kidspace/start.php?HoldNode=8446 ? Kidspace – a cms (content management system) for our students where you find works and dialogues. Built by skilled coldfusion and php programmers Kidlink volunteers Bonnie Thurber, Bob Davis and Patricia Weeg. Facebook – Our official page in Facebook. You can find latest news in our Facebook page. Twitter – Our official page in Twitter You can find latest news in our Twitter. www.kidlink.org Our main portal for many year linking to regisration, login and to all our activities and informatinon pages. You do not have to pay to participate in our projects. But by becoming a member you support our projects and help us develop them. European Union Members, please pay directly to our Swedish Banc account as this will save us banc costs. About fee codes (VHI, LIC etc) Read more in our fee payment page. Kidlink association protects its donors and authors. if we discover that someone pretends to be the author of a project to e.g. win a competition or price, we inform in our network and at teacher conferences where we talk about our projects and their authors. Read more in about Kidlink trademark and project copyrights.